To extend functionality and to enhance business of your WordPress website plugins are the most effective, fastest and easy to implement option. You can find various plugins which are trusted, tested highly used & popular for the specific functionality requirement of your site. This plugins are ready made with their particular feature & solution and offer you immediate solution for your website. There is a huge number of plugins available for wordpress some are good, some are not that useful for every site and some are must have for business site owners. Here we will discuss about some of those Top WordPress Plugins You Must Have for Your Business 2019. Amelia is a great wordpress plugin tool for the Site Owner. This effective WordPress tool allows the Business or Site Owner to make & manage bookings & appointments. Its highly efficient tool gives you best ROI over time & it’s a must for wordpress site owners. Booking & Appointment management & tracking become easier with Amelia plugin. Moreover it’s an automated system & you never miss your leads which help to make better client conversions. It’s best for the businesses where CRM is an important factor. For businesses which need heavy client calling & appointment booking, it’s a one stop solution. This useful wordpress plugin handles every aspects of Client Communication record & Appointment Scheduling process which includes employee wise conversation, schedules, availability, cancellation, schedule updation, reminder setting and also payment collection & tracking. The most important thing is that using this tool you can cut down your CRM expenditure. Another effective WordPress plugin which provides clear view of insight data to site owners is wpDataTables. It’s a popular tool providing data & information in form tables & charts. If your website need to deal with data & information and you need a clear picture of the data for yourself & for your viewers then it’s a must have plugin for your site. If you are dealing with huge data and the data should be shown in easily understandable tables or charts which are responsive, editable & customizable then this tool offers you the easiest, smartest & organized way to manage your data. 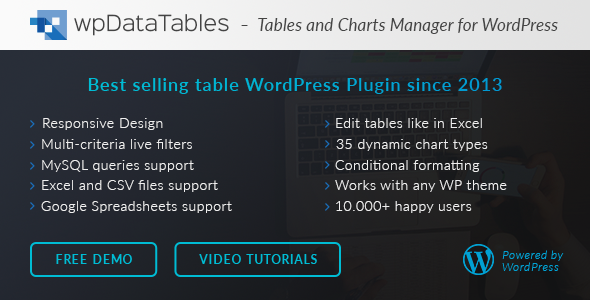 It’s the best & one stop wordpress plugin for designing, customizing your charts & tables with cells, columns, rows and function. Moreover you can highlight & mark specific or important cells in your table with this tool. It’s very efficient because it can handle large data easily & can display it as you wish in a faster time with great performance. Above all it supports commonly used databases & formats like MySQL, SQL etc. which is a great advantage. Website Search Engine Optimization is the most important & driving factor for its business. For the site owner SEO for the website is a must to generate new leads & customers and run the business smoothly. For many website Designers & Developers creating SEO friendly site is a bit challenging job because there are many areas you need to keep in mind to design a perfect SEO friendly website. Therefore there are chances for mistakes & not properly execute the website development process which is SEO compatible & SEO friendly. Here comes the most effective Rank Math SEO wordpress plugin tool to take care of your website’s SEO factors. It’s an automated one stop tool which guides you through the designing process to make your site SEO compatible. It handles all the SEO factors which can help you to promote your business through your website. It helps with SEO Friendly URL, SEO Compatible Navigation Menu, On-Page SEO, Local SEO, Keywords and also WooCommerce SEO. Moreover Rank Math also has Content Optimizing & Analyze feature which helps to create SEO Optimized contents for your site also very effective for your blog. Another trendy wordpress plugin for targeted content promotion is Logic Hop. It’s always a challenge to design your site and its content’s look & feel keeping in mind the specific target audience. Login Hop can be very handy to deal with this area. It provides options for customizing look & feel and giving interactive & attractive look to your website content for target specific audiences. This plugin has different features & determining factors to target you specific audience. It offers you a total ready-made tool box solution of its features to cater targeted content to your different audiences. If you want to promote your site locally or want to inform your visitors your exact business location then MapSVG WordPress plugin is a great tool for you. It takes care of all your map & location related issue and inform your customers about your location and help them to reach you easily with Various Map APIs. You can integrate image maps, Google maps and interactive vector maps with markers, signs & other information to your website. It helps your web visitors to find your business location easily on the go. For event oriented websites it’s a great option because you can tag other information in your map & guide your audiences to reach the locations. Blog2Social is an amazing WordPress tool for smart social media automation. Content Marketing & Blogs are one of the most effective ways for your website’s digital promotion. With Blog content you can reach to a large number of target audiences all over the world. But for this you need to share & promote your content over various Social Media platforms as they are having huge number of active users. It’s a hectic & tiresome work to post your every content to all popular Social Media sites. Here Blog2Social solves your problem with its automated social posting system. With this amazing & handy lightweight WordPress plugin you can post & share your content to Facebook, Google+ and other popular social media platforms directly in a single submit. Also you can schedule your posts using this tool’s Social Media Calendar. 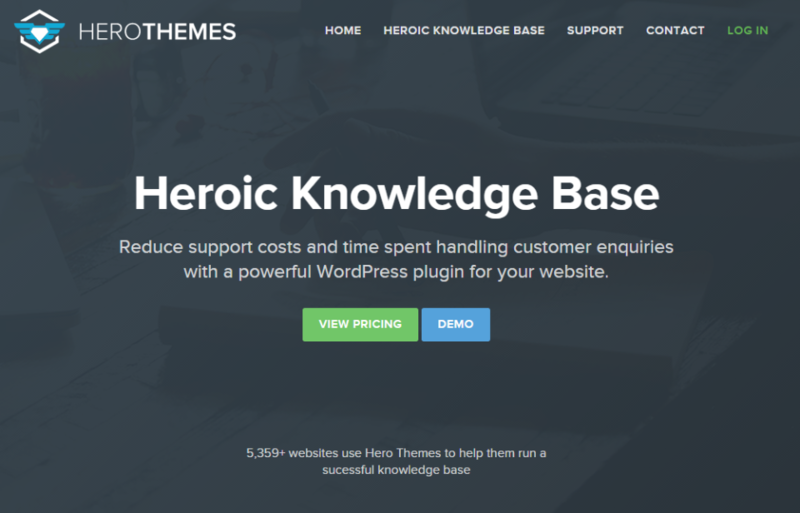 Heroic FAQs & Heroic Knowledge Base are very useful WordPress plugins which helps you to handle your website visitors general & topic specific query & provide them knowledge base support. Using this plugin toolkit you can draft, design & create attractive FAQ pages with questions & answers which are relevant to your business or website segment. You can also create set of FAQ & Answers which will likely to be asked as general query by your visitors and with this knowledge base you can help your visitors. No need to deploy a dedicated support team for every general queries which can be raised by your visitors. Your FAQ page will take care of this. Most importantly you can create eye catching, informative & fully tailor made FAQ pages with this plugin. It helps you to effectively cut down your expense. It has a drag & drop feature to create question segments, group questions & sort their order and also you can add images, videos & text attachments to your FAQ.